Tracks 11 to 15 are indicated as mono. 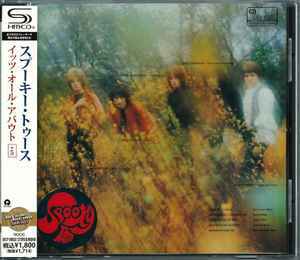 Issued in a standard jewel case, including: a 4-page colour booklet with English credits; a black and white 20-panel fold-out insert with Japanese/English track list, Japanese commentary, English and Japanese lyrics; and an obi. ℗2008 & © 2010 Universal Island Records Ltd.
Universal International, a Universal Music Company.